If you have ever stepped inside a hair salon, you’ve likely seen the clear vases of blue-green liquid sitting on top of each haircutting station and wondered what it was. You probably also saw your hairdresser take a comb or brush out of the solution or put one back in after using it on your head. What you may not have known is that this blue solution plays an important role in keeping your hair and scalp healthy and lice free. Barbicide is a hospital-grade disinfecting solution that hair salons commonly use to clean their styling implements. It kills fungi, viruses and other germs and pathogens. It also kills lice. Head lice are external parasites, most common among school-aged children, that live in the hair and head of those infected. Salons can’t afford to use a brush, comb or hairclip once and then dispose of it, yet when dealing with many clients in a single day, they must ensure that pathogens carried by one person on the hair and scalp, including lice, do not end up on another client via multiple use tools. This is where Barbicide comes in. Hairdressers dip their styling tools in the solution to disinfect it and kill any organisms that may be present. Even the thought of head lice make many people compulsively itch. Because you never know when you step into a salon whether the person served before you had lice, salons’ use of Barbicide serves as a reassurance to clients. It shows a salon’s “understanding and commitment to using salon tools which have been disinfected, minimizing all risk of cross infection from one client to the next,” notes the Hair Products website. Barbicide is approved for use by the Environmental Protection agency. While its effectiveness at killing lice has never been specifically tested, it's common practice among salons to use the solution to kill lice and nits that end up in styling tools after contact with the head of a person who has lice. Additionally, implements that have come in contact with head lice can be left in the solution for hours to ensure complete disinfection, without causing rusting. While Barbicide will kill lice and lice eggs that end up on brushes and combs, it is not approved for use directly on your head. Thus, do not attempt to eradicate a lice infestation by soaking your hair in the solution. 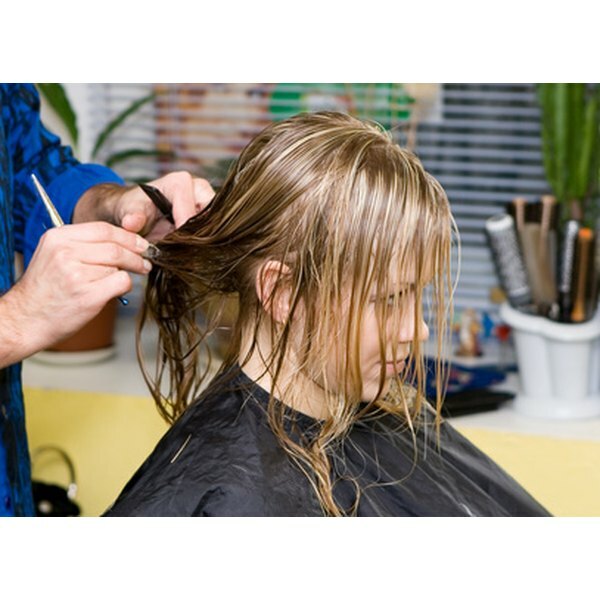 There are many safe, over-the-counter lice medications that will do the job. Hair Products: What Is Barbicide?